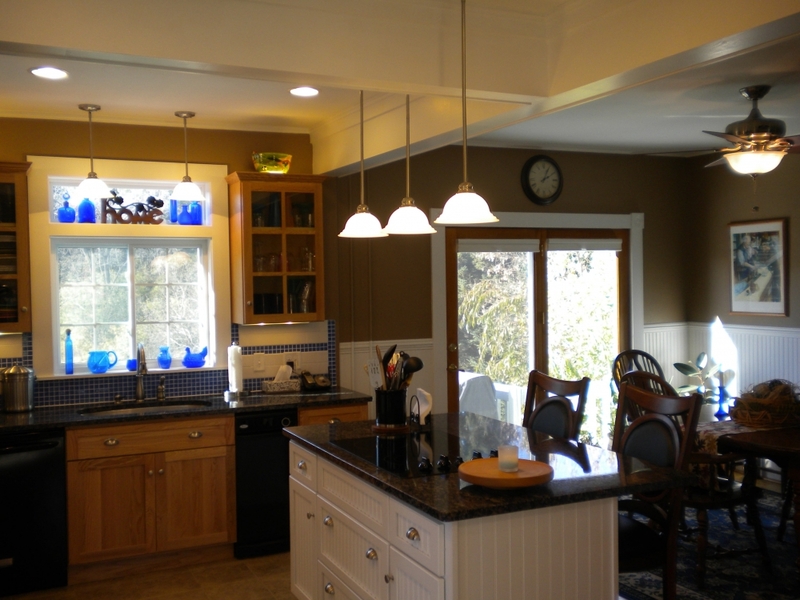 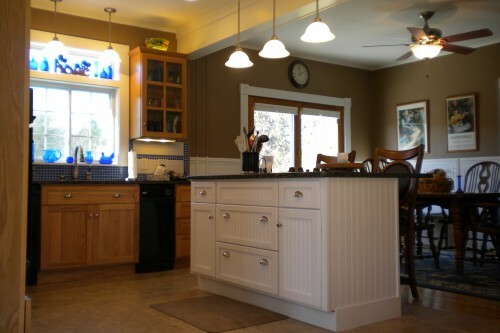 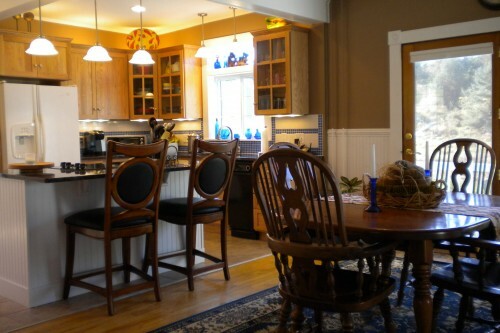 This project was a complete gut remodel of a kitchen and adjoining dining room. 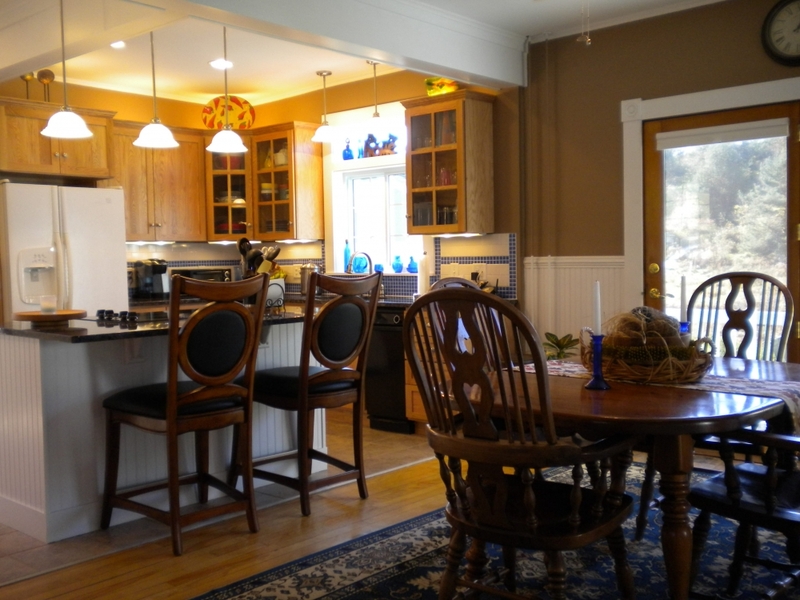 This turn of the century house had used this space over the years for different things finally creating a kitchen out of it back in the mid 1900’s but the structure of the walls and ceiling certainly told the story of a space that had been added to and changed over the years. 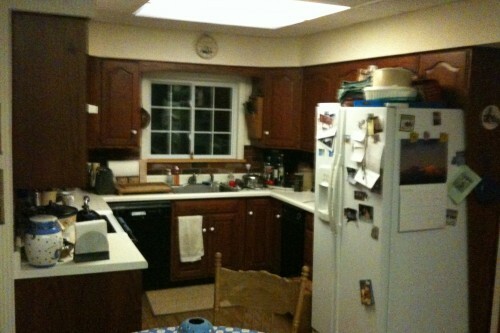 With virtually no insulation in the walls this cold dark kitchen had last been touched back in the late 70’s/early 80’s. 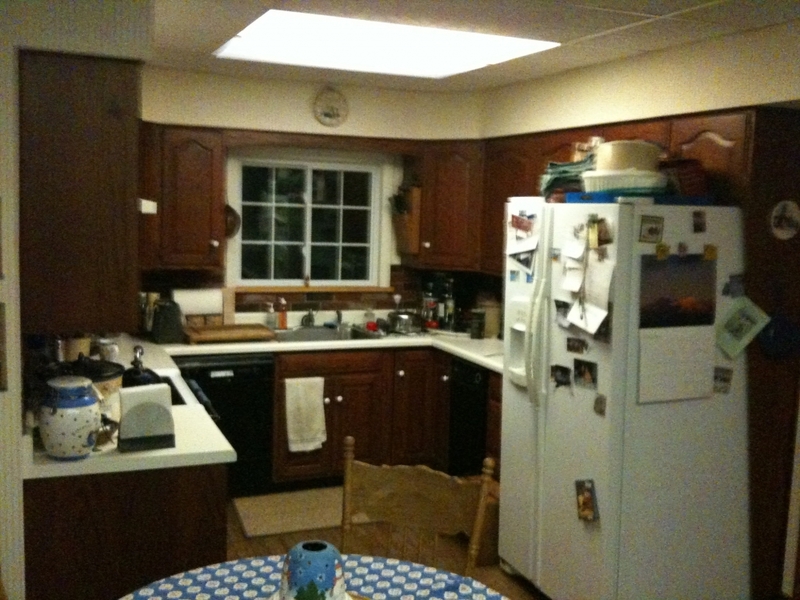 The flooring was failing, the cabinets were tired and cramped, the dropped ceiling was low and the recessed fluorescent fixtures were also failing. 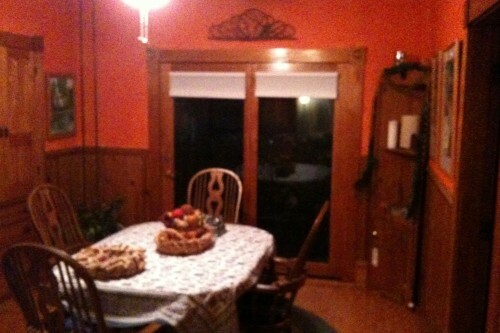 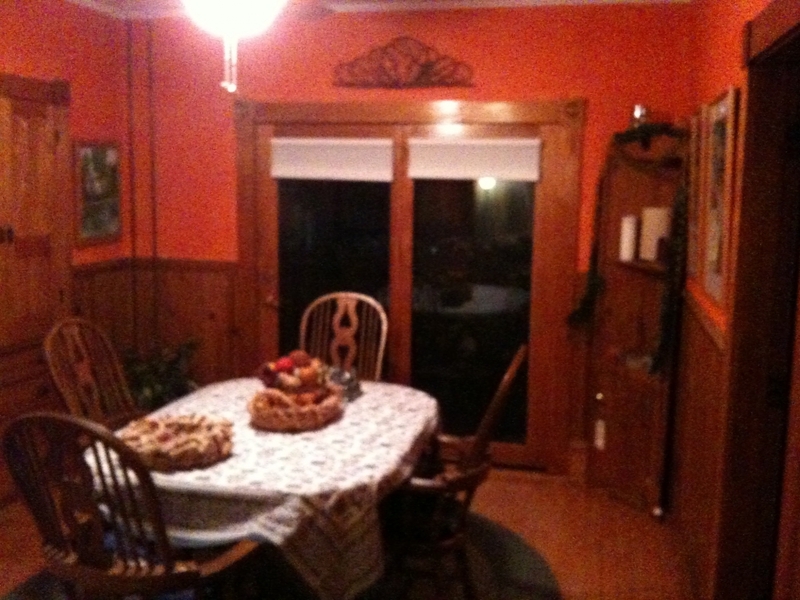 The dining room was only open to the kitchen through one door and was equally dark. 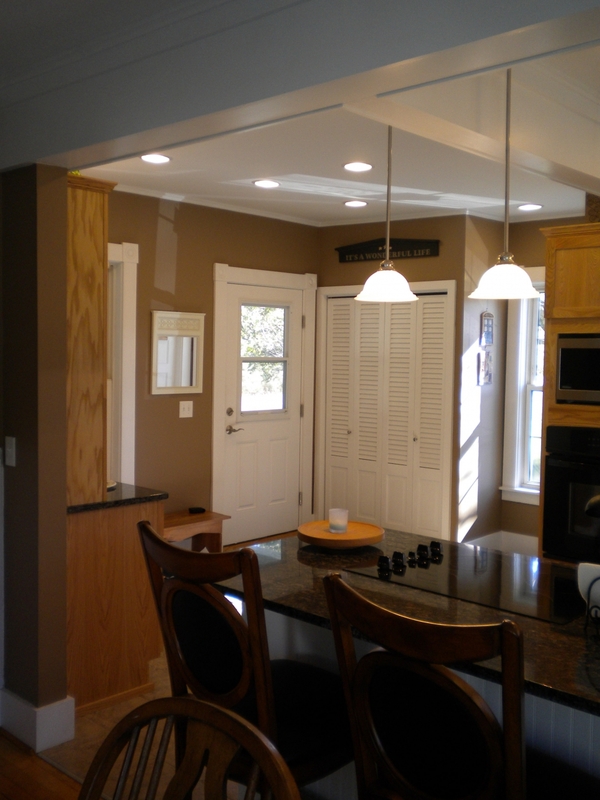 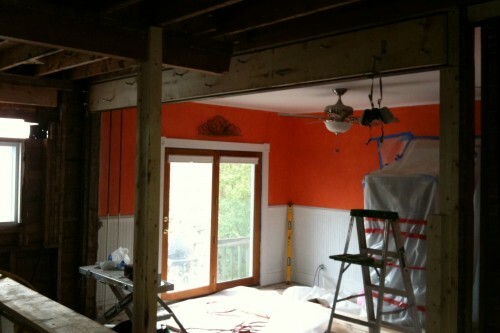 The homeowners were looking for a total rehab of the space, opening it up to the dining room space, and making it bright and warm. 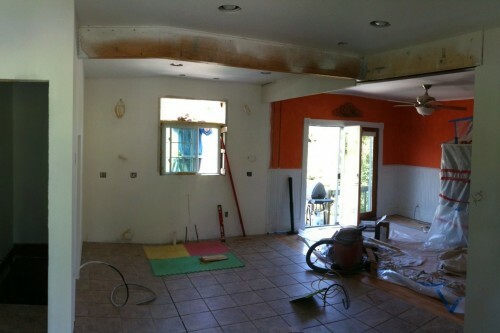 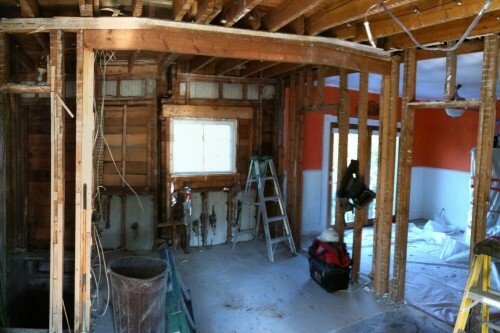 The space was gutted down to the studs and everything, aside from the refrigerator was replaced and/or rebuilt. 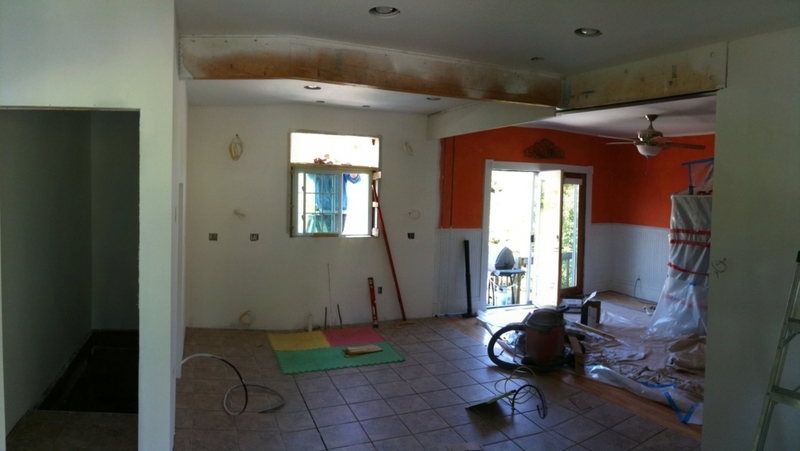 The wall between the dining room and kitchen was removed and a new steel beam carried that span above a new island. 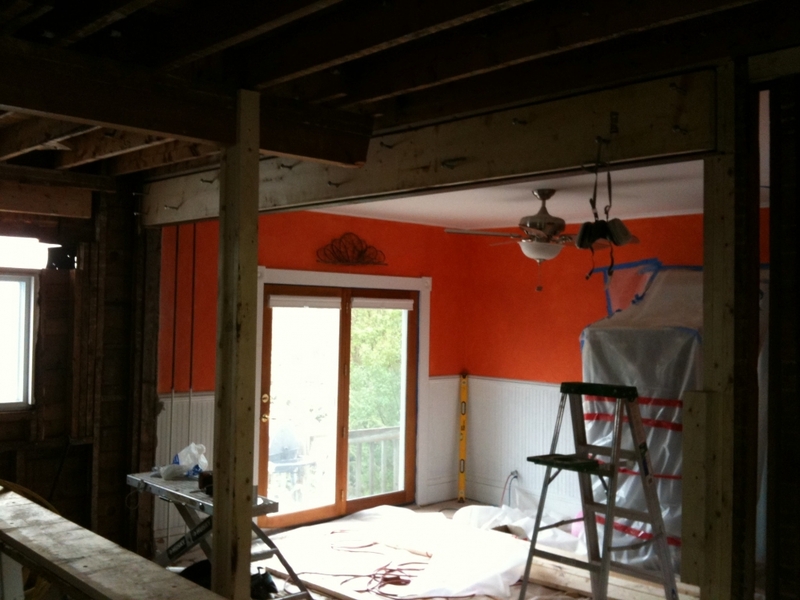 The room was insulated with closed cell spray foam due to the depth of the original studs. 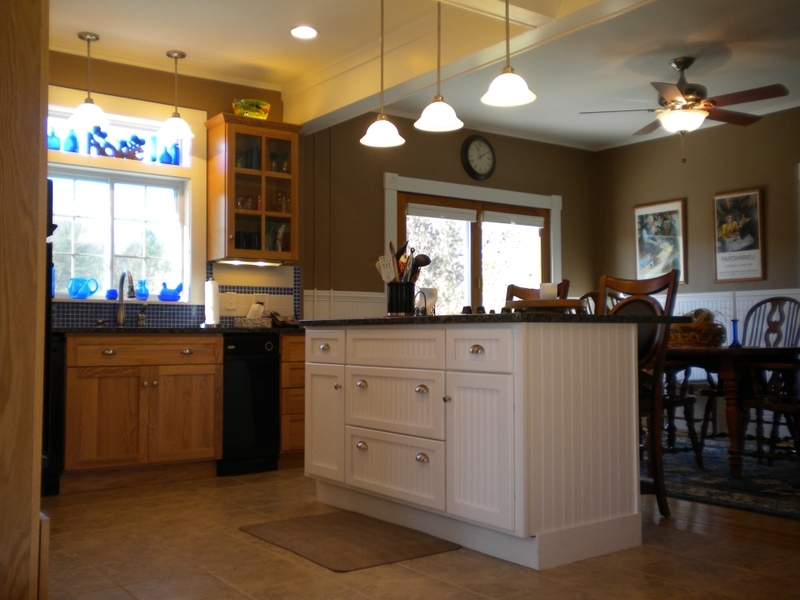 The floor was tiled and radiant floor heating was added underneath the kitchen floor, eliminating the old cast iron radiators and adding a warmth to the tile. 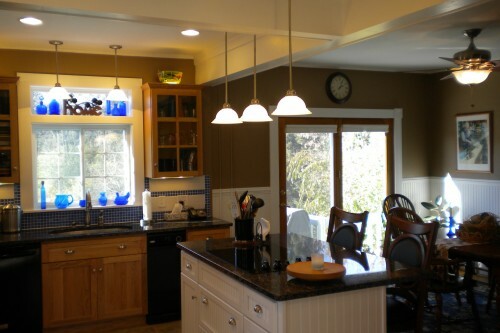 The end result was a dream kitchen for the homeowners that is a wonderful bright space that is well lit and functional. 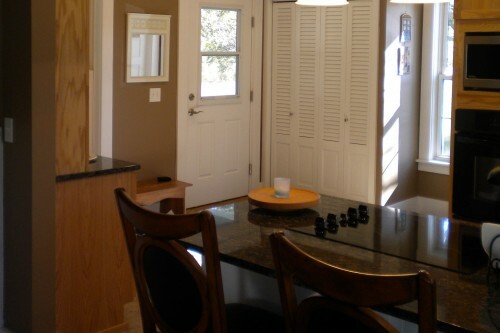 New cabinets and granite counters add to the quality of the space and the tile adds function and class to the kitchen which also serves as the main entrance for the house.